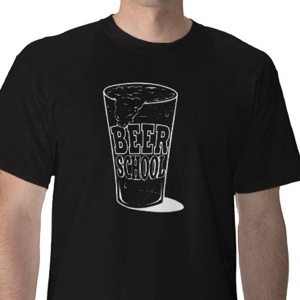 beer school » Blog Archive » who cares about surviving SF Beer Week 2012. it’s always beer week in SF! who cares about surviving SF Beer Week 2012. it’s always beer week in SF! I’ve written about surviving SF Beer Week before. here is 2010 and 2011. pretty much everything that you need to know is there. and because we’ve been through the week for the last three years we want to offer a slightly different perspective on surviving. one of the very best things about San Francisco and the Bay Area is that there is amazing beer all year round. our friends make delicious things that chase the seasons. and other friends are bringing beer from the rest of the world making sure there is no lack of things to taste and try. 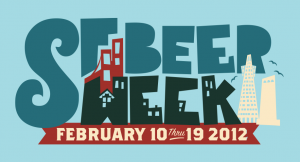 one could argue that SF Beer week is every week happening 52 times a year. it’s easy enough to lose sight of this fact. you might not know that the Bistro in Hayward has 5 (or is it 6?) festivals each year. that 21st Amendment has a beer garden serving craft beer in cans before and after every Giants game. City Beer Store busts out special kegs every Wednesday and Thursday. Speakeasy opens the brewery for music and fun every Friday. Thirsty Bear has a cask every Tuesday. Drake’s first Friday is fun or if you want a more grown up experience hang out in the Barrel room any time. Toronado and Beer Revolution play host to breweries offering a night to meet brewers and try loads of beer they made. 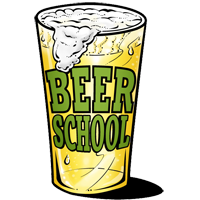 and don’t’ forget all the rest of them: Bender’s, Pi Bar, Gordon Biersch, Public House, Social Kitchen, Comstock, Magnolia, Triple Rock, Zeitgeist … we’re forgetting a few. sorry. four years ago was San Francisco’s first Beer Week. but before there was SF Beer Week it was already a kind of a beer week. the Bistro had the Double IPA fest. a week later was Toronado’s Barley Wine gathering. the day after that the Celebrator had a party. and on top of that Magnolia and 21st Amendment made February into Strong Beer month. there was no lack of things to do. and drinking it all was challenge because everything was big. okay, okay, okay. I’m kidding. lets get down to what you should not miss. if you don’t have tickets already it’s too late. it’s sold out. the Opening Gala. yes. yes and yes. everyone is here. all the San Francisco brewers. more brewers from around the bay. brewers from the north. there will be close to 70 breweries attending by the time the doors open. when those doors do open what you are looking for is that one special keg that each has hauled up from the cellar to pour for this momentous party. we’ve been hearing about barrel aged this and made special since at least last year. plus we got to try some of it along the way. yeah, you don’t want to miss out. even if the most you get to try is short 3 ounces. you can always get back in the line. this is why you want to plan the rest of the week so you don’t get shut out. to help you find what’s going on there’s an App for iPhone or Android and there’s a web version. you need these. make a plan of what you’d like to do. you can make an account so you can put those events on your calendar. then you’ll know. you can stop looking after you make your plan. you’ll also want Twitter running on your device in some way. be sure to follow some people. we’ll list a few as it gets closer. but the twitter buzz will tell you before you get there what it’s really like. several events last year so so popular that people got turned away. and there’s no getting around full because of occupancy laws. tune in before you go so you’ll know if you have a chance of getting in. speaking of lines. Russian River makes lots of beer that isn’t Pliny. one report spoke of 23 different beers on the beer board at the pub in Santa Rosa. Natalie and Vinnie didn’t set out to make this beer a cult following. they just wanted to make a seasonal IPA. but the echo chamber will has made sure that the hype is there making the line for this beer impossibly long for no reason. this makes the anomaly that is Younger is just that. the beer is worth trying to be sure. I’m always down for a pint of something new. but geez, it’s just a beer. there is no reason to get mental over missing it. the good news is that lots of places have at least one keg meaning there will be plenty to go around. while everyone is waiting in line not getting any Younger there will be lots of other beer just as rare (or possibly more so) that you should be pay attention to finding. an old of russian imperial stout that sat in a barrel. the cherry something that got reblended with new beer for balance. or that beer that made its way all the way from Kalmazoo because somebody thought it was a good idea to pour it for one night. that’s the stuff you don’t want to miss. after the opening event what’s next? here’s where it gets weird. if you follow the echo chamber you’ll end up in Hayward. but maybe Double IPA isn’t your thing. there’s a Beer and Chocolate event. Triple Rock is doing a beer release for something we don’t want to miss. but then it’s Saturday which brings out all the other people. maybe this is a good night for a bottle of anything and a movie? beer dinners are the temptress of the week. there’s at least one amazing multi course offering every single night. our advice on beer dinners is that smaller is better. which means if you think you want to attend something buy your tickets or make your reservations the second you decide. it will sell out. every event does. we like that our chef friends like Sean Paxton and Bruce Patton have special dinners boasting 5 to 9 courses. but we’ve also been annoyed by these kinds dinners. although to be fair it wasn’t the fault of the chefs. serving a room full of people at nearly the same time is no small feat. but cold food and not enough beer are features we’d like to not pay for any time soon. because the prices of these events beg for perfection. it may be yummy but let’s just say that we’ll be skipping dinners to focus on other places. besides there are lots of chances for beer paired dinners. not only does Monk’s Kettle do one at least once a month but we hear about dinners happening all the time around the bay area. that said, the “dinners” that we liked the most last year were the simple things. 4505 made sausages infused with beer that got grilled on an afternoon and temporally put on the menu. or that chef that made “snacks” each one to be paired with a beer that came in an elegant snifter. or just enjoying the same slice of pizza I eat all the time with that pint of awesome. there are so many things going on that nobody could possibly think of covering it all. you’d be lucky to have just one experience every night. and even that is 10 nights of going out in a row. overloaded, exhausted, burned out, and tongue tied come to mind for how we feel at the end of the week that lasts 10 days. find the road less followed. go to the places that haven’t had beer events in the past. show up really early or really late. if there is a line out the door find a door that doesn’t have a line. in closing we have to mention the Celebrator party that closes off SFBW. it’s held in the warehouse of Trumer in Berkley. this means you have a chance to try the freshest pilsner possible. one that has to travel all of 10 feet meaning there is no way for it to get damaged or abused. and that right there is worth the price of admission.